What is an EGR delete? When it comes to vehicle performance upgrades, one of the most popular options is an EGR delete. While most drivers know that installing this aftermarket kit enhances vehicle performance, not everyone is aware of what an EGR delete actually does and why it’s beneficial. Read on to learn more about the EGR valve and how an EGR delete can help with engine power and performance. EGR stands for exhaust gas recirculation. This is a technique used within an exhaust system to reduce nitrous oxide emissions by recirculating some of the engine exhaust back through the engine cylinders. There are some major downsides to this, the most devastating of which is clogged intake systems. The excess soot not only reduces engine performance, but can ultimately result in the need for costly repairs. Furthermore, though EGR valves are used as an effort to reduce air pollution, they actually reduce engine efficiency. In order to generate the same amount of power, the engine needs to burn even more fuel, which in turn leads to more air pollution. What does an EGR delete do? An EGR delete kit is an aftermarket performance part that removes the EGR valve and prevents exhaust from being redirected back to the engine. Ultimately, this allows your vehicle to function as if it never had an EGR valve. There are a number of key differences you’ll notice after having an EGR delete kit installed. First of all, your engine is going to be a lot more powerful. 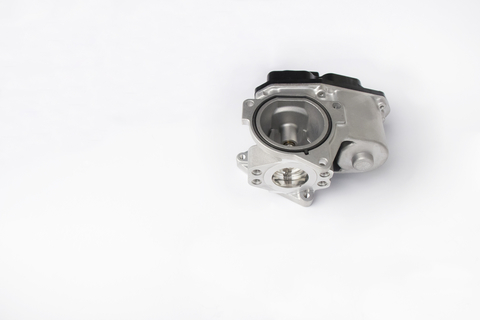 As mentioned above, EGR valves limit efficiency and rob engines of their performance. This leads into the next point, which is increased fuel efficiency. Your engine now has to work less hard to deliver the same amount of power, burning less fuel in the process. Finally, your engine is going to have a longer lifespan. Soot deposited within the engine stresses the system and causes parts to wear down faster. Investing in a properly installed EGR delete kit is just one way you can escalate your vehicle’s performance. Interested in learning more about what performance parts can do for your vehicle? Contact the team at Park Muffler today!